The biggest change, that was let out early on in teasers, is the water-drop notch or, as Samsung puts it, the Infinity – V display. Why is this is a big deal in 2019? Well, because Samsung was the only big player resisting the abnormally cut displays last year, but has now embraced the trend, rather zealously. 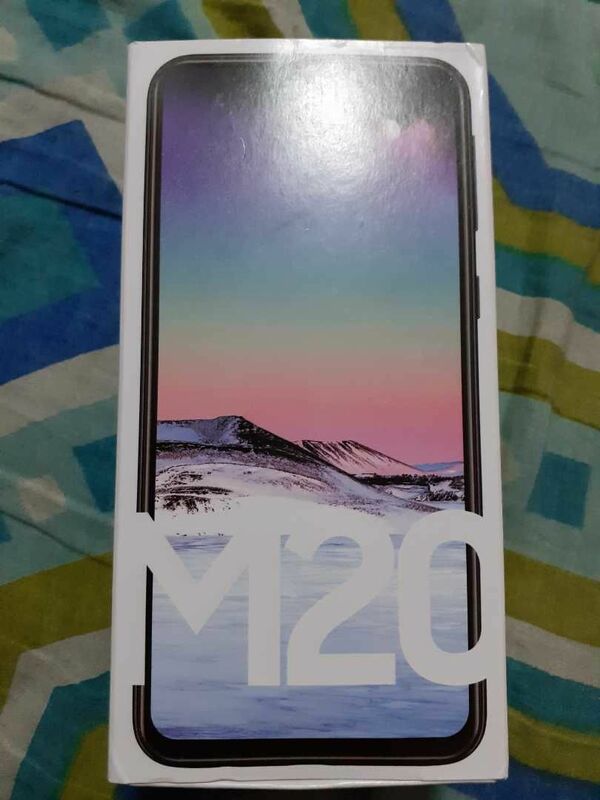 The fascia of the Galaxy M20 is what makes all the difference. The notch on the Galaxy M20 is underlined by smooth curves and has a slick face unlock animation to go with it. The bezels surrounding the display, and also the chin at the bottom, are noticeably smaller than what we usually see on affordable phones. Samsung is using a regular TFT LCD panel (not IPS LCD) on the Galaxy M20, but we didn’t find it lacking in terms of quality. Colors are vibrant and pop nicely. Samsung still doesn’t provide an option to tweak display colors for its LCD display phones, but the default color calibration is fairly good. If you prefer warmer tones, you can also make use of the blue-light filter. Samsung Galaxy M20 is the first phone to be powered by Exynos 7904 octa-core chipset that combines 2x Cortex A-73 cores with 6x Cortex-A53 cores. This is a 14nm chipset, and in spite of the naming, is one rung below the Exynos 7885 that Samsung uses on phones like Galaxy A7 (2018). The Exynos 7904 falls behind the Snapdragon 660 but is still more powerful than what Samsung offered on the best of J-series and the worst of A-series up until the last year. The Fingerprint sensor is fast and efficient and, just as high-end Samsung phones, it can be configured just by swiping (instead of tap, tap, tap). Face Unlock is as fast as what you’d see on best of Samsung phones (which is still slower, but hopefully more secure, that what you get from brands like Oppo, Vivo, etc.). The Galaxy M20 has a 13MP primary camera combined with a 5MP secondary wide-angle shooter. On the front, you get an 8MP selfie camera. The primary rear camera sensor is a decent performer. We managed to get well-balanced shots in proper lighting, and the Galaxy M20 performed a bit better than Zenfone Max Pro M2 and Realme U1. The Redmi Note 6 still takes the lead. Its available in open sale and it might be available in offline market too.